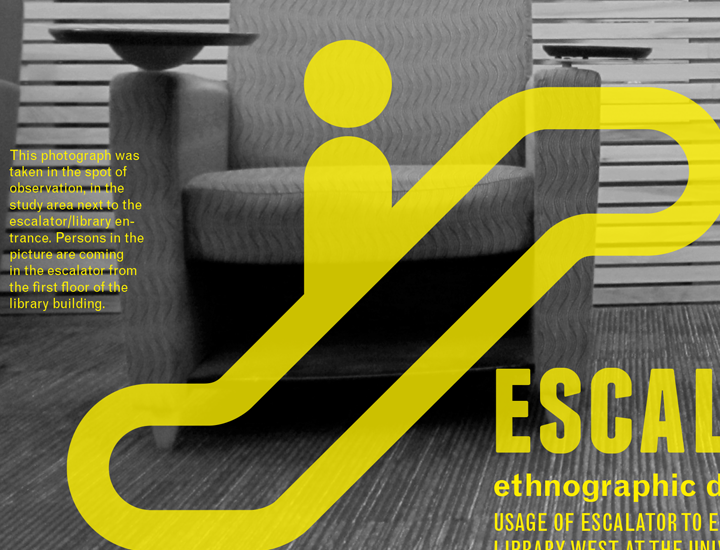 Observation is one of the most important ethnographic research methods. 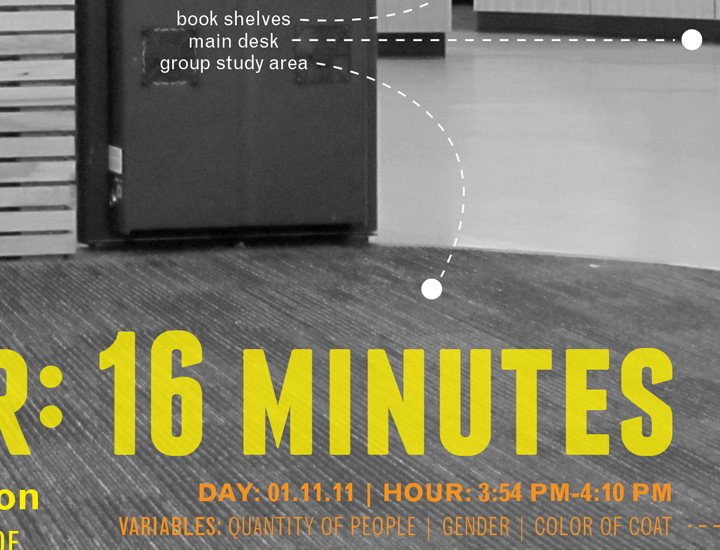 It can produce amazing results for all sorts of design research activities, offering the opportunity to study contexts, people’s surroundings, and behaviors. 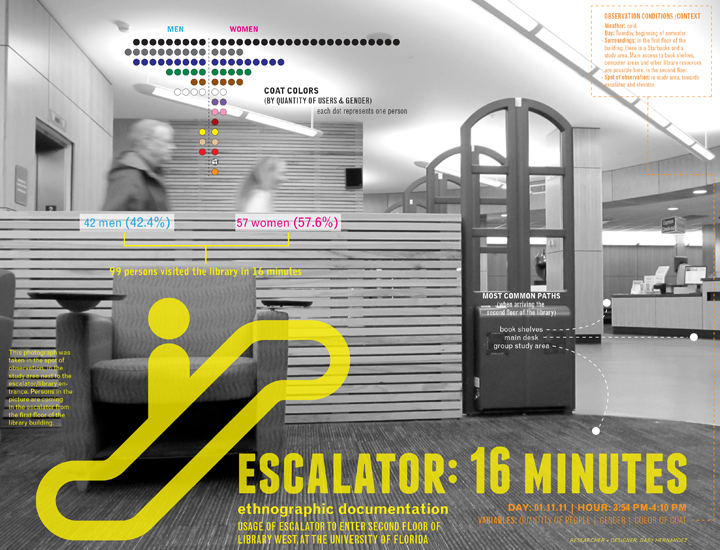 As an independent exercise, I sat down for 16 minutes right next to the main escalator on the entrance of Library West, at the University of Florida, on January 11th, 2011. 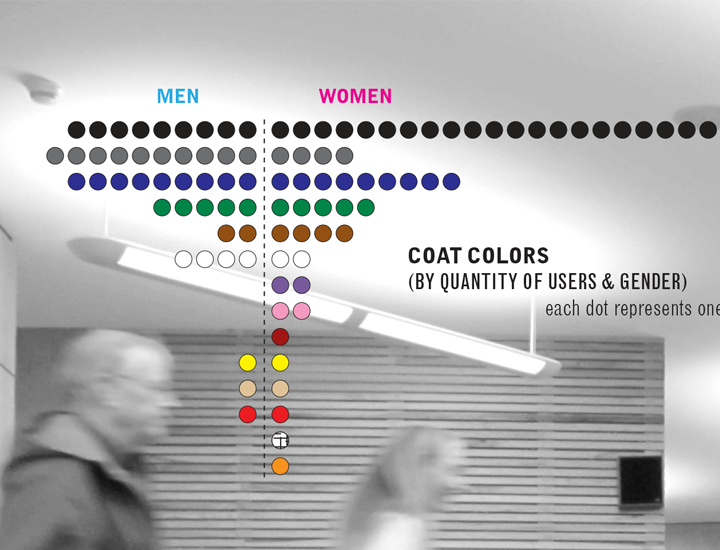 I decided to observe how many people use the escalator during that time, their gender, their walking direction, and the color of their coat. At the end of that time I analyzed the collected information through this observation, which I visualized afterwards.